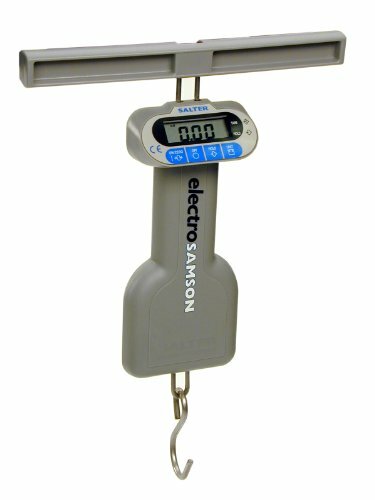 Electronic Digital Scales 25kg 55lb Accurate Hanging Postage Weighing Scales Ideal for Mail Bags Weight in Metric or Imperial Salter Electro Samson ElectroSamson balance scale. For Fishing Luggage Postal Post PPI Packing. Ideal for mail order & ebay sellers.